Oh, I love Spring when the first signs of new life start to come out. This week after a wonderful rain and warm days, the trees are bursting open in green life. The birds are here in all their beauty and singing the most joyful songs. The little Hummingbirds are already here and enjoying the nectar we put out for them. With Spring comes my passion of gardening. I planted out new Blackberry bushes, the spinach and onions are looking great in the garden and my yard is buzzing with life. Our guest seem to so enjoy the whimsical nature of our yard and garden. I love to have little treasures placed around, tucked into the fun places you would not expect. 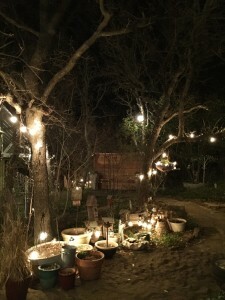 I also, love the yard at night, it takes on a Fairy like appearance and seems magical. Spring, oh glorious Spring!!! Come enjoy a stay with us and walk the grounds to enjoy all that we have to offer. We also love when guest leave little treasures in the garden and yard or on the trail also. Spring gives me hope and refreshes my spirit. 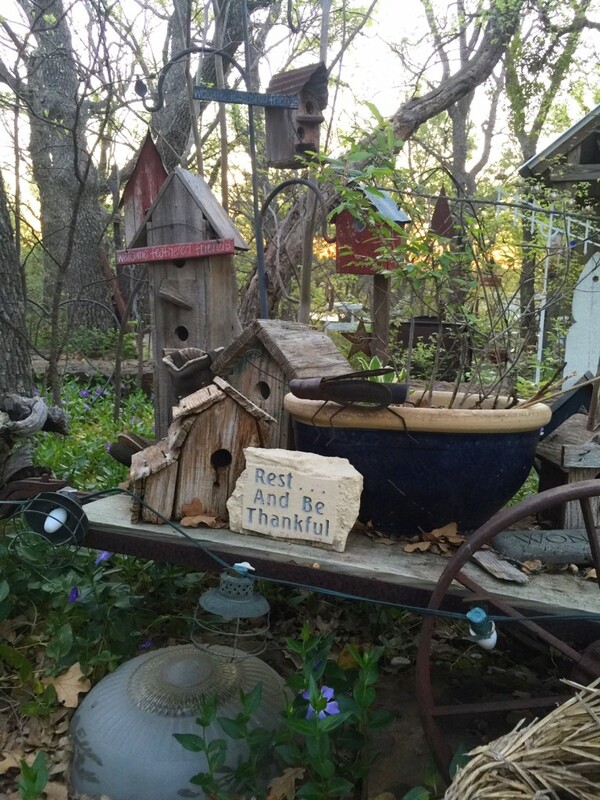 This entry was posted in Deb's Doodles and tagged birds, gardening, yard by admin. Bookmark the permalink.